If your mother ever said “you shouldn’t play with your food” she never experienced the pleasure of tapas or thrilling your taste buds and sharing one new flavor after another, of eating as much or as little as you want, and, best of all, of connecting with people in a festive way. Dalí Restaurant and Tapas Bar is Boston’s vanguard for innovative Spanish dining. Many of Boston’s chefs sat at our bar and studied our success. They went on to open their own great establishments featuring “tapas Americanas”. But we have the real thing. . .come taste the origins. 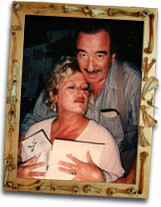 Mario Leon and I (Tamara Bourso) met in 1985. When he put his foot in front of me I fell, in many ways, willingly and completely. He bent over and picked me up and love wonderfully condemned us both. His dream was to go to the Ramblas in Barcelona and shine shoes (I don’t know why). Mine was to dress up, work only on Saturdays and drink never-ending champagne surrounded by flowers and soft lights. By this time Mario’s idea of an authentic Spanish restaurant and tapas bar had been bottled and aged enough. It was time for us to take the plunge. The Ramblas would have to wait! 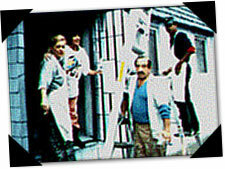 We began with lots of determination and no money: Mario—the brains and the spirit; Cesar—a dear and loyal friend; Pedro—a carpenter and animal psychic; and I – a frustrated artist with Russian angst. Come see our dripping wall—Dalí would love our Midas tears. It was done with patching plaster and a pastry funnel. We worked in mid-winter with no heat except for one electric space heater, but we had lots of beer and chicken livers to keep us going. I was on the ladder while Mario mixed the plaster and ran to me before it hardened. I’d squirt the mixture all over the wall and so it went—building, scraping, painting, sanding for months. Mario designed the menu, built the bar, sanded the floors; I stuccoed the walls, reupholstered chairs, tasted recipes; Cesar helped with everything. We didn’t discuss what the public wanted or if this concept would fly—it came from our hearts and that was enough. From the beginning our clientele was a mixed bag of locals, students, travelers, university literati, restaurateurs, urban and suburbanites. The news of this “new way of eating” and Dalí spread quickly. Our convivial staff shares our enthusiasm for the food and spirit of Spain and they form “La Familia de Dalí”. Leave your watch at home and experience a memorable evening in Spain, aka, Dali! Inspired by Dali’s small dishes Tamara Bourso and Fernanda da Silva opened Cuchi Cuchi in Cambridge in 2001 but went international, featuring small dishes (not tapas) from around the globe. 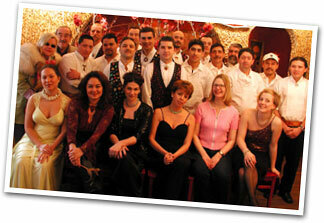 We invite you for an evening at Cuchi Cuchi which includes 2 kisses and a hug. Click here to view website.